Summer holidays are more than half over, which means the children need entertaining as the buzz of the beach wears thin. Since in Malta we have such a long break, parents are increasingly aware of the need to find economical activities to keep young ones and tweens amused, so here are some top tips for family days out. 1. Pick your own fruit and veg. New on the eco-tourism scene are the team behind Diar il-Bniet, who have opened their family heritage farmland to the public against a reservation at their restaurant. A novel way to encourage children to eat what they pick – peaches, olives or strawberries – here’s a chance to get a group of friends together and participate in one of the various activities, such as cooking or craft classes, organised by this farmstead. 2. Learn how to harvest salt! If there’s something we’ve got plenty of all around us it’s salt, and Merill Eco Tours organises Sea Salt Harvesting experiences on a regular basis throughout the summer season. Enjoy the stunning surroundings of Marsascala’s Zonqor Point, as you get stuck in this local tradition. Word to the wise – you will get wet – you may even get soaked! So take swimwear and clean flip-flops and let the condiment collecting begin! 3. Get sporty. The large number of free outdoor gyms that have cropped up in Malta mean that families can encourage one another to get moving. Check out the ones closest to your neighbourhood in Mellieha Family Park, Ta’ Qali Adventure Park, Siġġiewi and Qui-Si-Sana, Sliema. A perfect way to give the children a good example doing something active together during these balmy summer evenings. 4. There’s more to museums than stuffy artefacts, as the Esplora Interactive Science Museum pioneers a late opening Thursday evening policy which is excellent value, offering the Planetarium show and exhibition centre come as an added bonus. Apply online for Heritage Malta’s student membership, free for all children attending primary school in Malta, and up to two accompanying adults per student member will benefit from half-price entrance fees to over 25 museums and sites in the Maltese archipelago. 5. Active kids are hungry kids – and eating out may be a pricey exercise if you have many mouths to feed. Print the voucher from their website in order to benefit from Tal-Kaptan’s ‘Kids Eat Free’ options at certain times of day, for children aged three to eight when adults spend over a tenner each, valid in both Qawra and Valletta outlets. Zest treats patrons celebrating their birthday to a free meal when dining within a week of their date of birth, on presentation of an ID card. During the summer weekdays, Da Marina offers free kids meals for diners eating prior to 7.30pm, when dining with an adult. Agliolio hosts a daily happy hour for kids dining with their family, pre-teens dining between 6 and 7pm are fed free of charge. 6. 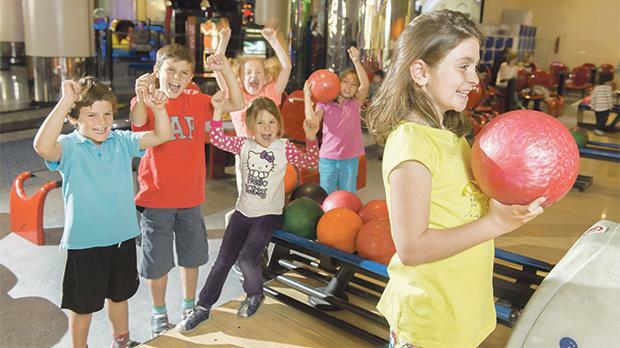 Cut-price activities: worth setting an annual reminder to subscribe in May to Eden Superbowl’s free summer bowling programme, which has taken on iconic status as friends meet up in air-conditioned comfort and pass an enjoyable hour together, watching their kids play two games of bowling for free each weekday during summer. The Cliffs Interpretation Centre is pioneering sunset walks on Dingli Cliffs – against whatever donation you think it is worth, collected after the event. Take your swimwear with you to the BOV Adventure Park, Ta’ Qali, open late in summer, which boasts full (clean!) facilities (including park rangers!). Don’t forget the excellent Buġibba Water Park, free for 15 minutes of play at a time, with unlimited multi-entries guaranteed to cool the kids down. Splash ’n’ Fun park has a family plan and afternoon ticket which shave up to 25 per cent off the regular price. 7. The flicks may sound like a lazy outing – albeit a popular one with the children. Keep an eye out for special deals – like Eden Cinema’s Family Deal, and Family Ticket offering great value. Empire Cinema has a discounted price on drinks and snacks during summer. At Tal-Lira Gallarija Cinema, where second runs are a speciality, family movie outings won’t break the piggy bank. 8. Lastly, check your supermarket loyalty card for kid-friendly rewards. Valyou (formerly GS) supermarkets loyalty club card offers patrons petrol vouchers or Air Malta air miles in exchange for points; apart from a car wash, which will definitely come in handy after taking half the sandy beach home with you. Pavi supermarket points are redeemable at Badger Raceway, and certain family-friendly restaurants affiliated with this scheme. So as you can see, with a sprinkling of imagination, there’s plenty to keep your rugrats occupied for the next bit of the holidays, whether they’re toddlers or teens. Crysta Darmanin is editorials manager at The Malta Baby & Kids Directory, which aims to help families living locally make the most of their parenting journey, leaving them more time to make their children’s childhood memorable. The directory can be bought through its online portal at www.maltababyandkids.com.